Addiction recovery requires a lot of hard work; years of living in the grips of the disease can be a hard break. It is often said that the easiest part of recovery is putting down the drink or drug, the hard part is not picking them back up. Eternal vigilance is needed if long term recovery is to be achieved. Drugs and alcohol take a heavy toll on the brain; in a sense they change the wiring - one’s neurochemical receptors can diminish over time. The effect that drugs have on the brain from greater and prolonged use can affect one’s ability to abstain from use in recovery. Fortunately, the human brain has an extraordinary ability to repair the damage done by substance use, and there are things that can be done to speed up the process. Researchers at the University of California Los Angeles (UCLA) found that exercise can help those in recovery from methamphetamine addiction, UPI reports. The UCLA team’s research indicates that exercise aids the brain in adding new dopamine receptors, diminishing one’s cravings for meth. The findings were published in the journal Neuropsychopharmacology. "We know that deficits in the striatal dopamine system are hallmark features of substance-use disorders and are caused by molecular adaptations to repeated drug exposure and, likely, also reflect a genetic predisposition," said Dr. Edythe London, professor of psychiatry and molecular and medical pharmacology at UCLA, in a press release. The study involved 19 people; the researchers asked 10 of the participants to exercise three times a week for an hour and to do resistance training for eight weeks, according to the article. The other nine members of the study were asked to not exercise, but were given health education training. PET scans were performed to find how many dopamine receptors were present in the reward system part of the brain - known as the striatum. 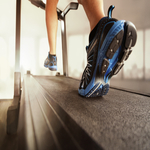 After eight weeks, the exercising group had a 15 percent increase in dopamine receptors, compared to just 4 percent in the non-exercising group. "Although this is a small study, it's a very encouraging finding," said London. "The results demonstrate that methamphetamine-associated damages to the dopamine system of the brain are reversible in human subjects, and that recovery of the dopamine system after chronic drug use can be facilitated with exercise training." At Celebrate Hope clients are encouraged to exercise and/or do yoga, as we believe that recovery requires healing both mind and body. Please contact us to begin the journey of recovery.